If you think all blenders are pretty much the same, the fantastic Panasonic MX-ZX1800 could be the blender to change your mind. Mark and I use a blender regularly to mix up smoothies, blend soups and make pancake batter for brunch at the weekends. I’m currently using a pretty cheap blender that I picked up on the High Street. It does the job, but I was really keen to see how a more expensive blender would compare. From the moment you take this blender out of the box, you can tell that it’s different. The diecast aluminium base unit looks gorgeous, and is compact so it doesn’t take up much room on your worksurface. But it’s also very solid and weighty, there’s definitely no risk of it moving around while you’re making your morning smoothie! The blender also has a touchscreen control panel with 6 preset programmes and a manual control, and it all wipes clean easily. The jug is equally sturdy, and has a whopping 1.8 litre capacity so you’ll be able to whizz up plenty of smoothies or a big batch of soup at once. Inside, there are six heavy duty blades arranged in two layers. The top straight blades are designed for rough cutting, and the serrated lower blades do the finer blending. They cope easily with everything from fresh fruit to nuts, and even blitz ice cubes with ease. I tested the blender on my Butternut Squash and Parmesan Soup. It gave silky smooth results in less time than my usual jug blender or my stick blender. It’s easy to wash the jug by hand, and Panasonic even include a brush for the job. 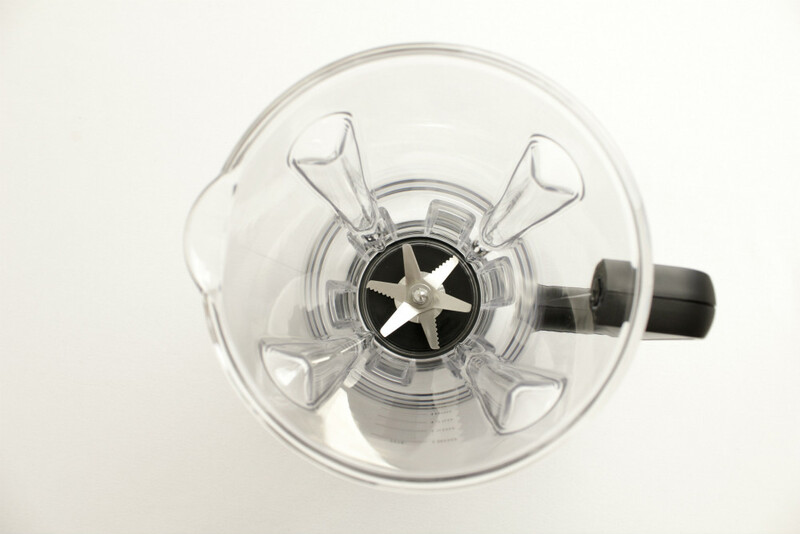 But if you prefer to put it in the dishwasher, the blades can be quickly and easily removed from the body of the jug. The Panasonic MX-FX1800 has a powerful 1200W, 1900RPM motor which is rated for 8 minutes of continuous blending. It has six pre-set programmes, or alternatively you can use the simple manual control with 10 speed settings. The programmes take away the guesswork about how long to blend your food. The MX-ZX1800’s programmes can grind coffee beans for that all important morning cuppa, or transform nuts into homemade nut butters. A tamper tool is provided to help when you are blending thick foods. There’s also a programme designed to make frozen desserts or cocktails with ease. And when the warmer weather returns, there’s even an ice jacket to help keep them cold. I reckon this blender would get plenty of use during the summer! At £399, the Panasonic MX-ZX1800 is certainly an investment piece for your kitchen, but I think it would get masses of use over the years. And in my eyes, that makes it a great investment if your budget allows. 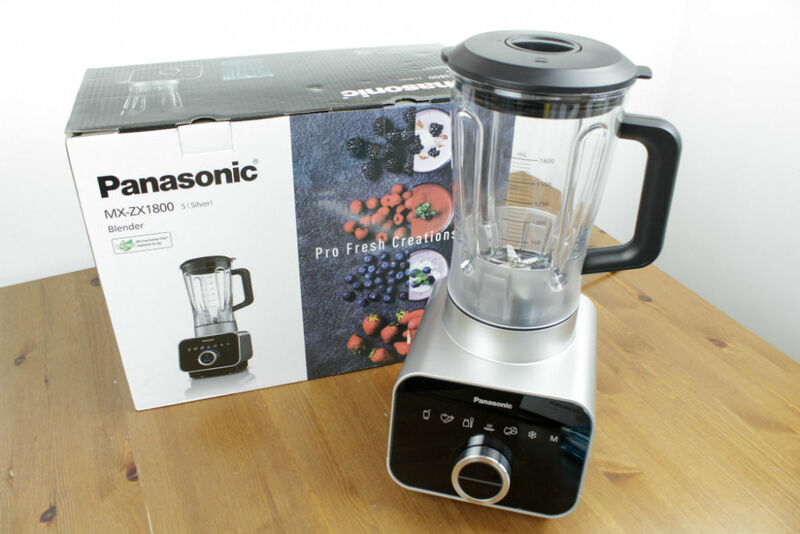 The Panasonic MX-ZX1800 Blender* is available from retailers online and on the High Street, RRP £399. I have been having a green smoothie every morning and I feel so much better for it. It’s definitely at the higher end of the market but the quality justifies the price tag.